On a windy night a number of years ago, residents of the National Capital were startled by the breaking out, almost simultaneously, of several dangerous fires in the downtown business district. Gongs clanged Sirens shrieked. The white dome of the Capitol reflected the ruddy glare. Ever piece of apparatus and every man of the city's fire department was hurried into action, but, in spite of the firemen s effort, the flames spread. Hundreds of thousand of dollars worth of property was destroyed and many lives were endangered. In the large crowds that gathered, there were, of course, many people who were highly excited. But the strange, half-repressed emotion of one man in particular aroused the suspicion of a sharp-witted police man. After watching this man for several minutes, the policeman walked toward him. The man saw him coming, leaped into a car parked at the curb, and started to drive away. The policeman blew his whistle. The man stepped on the gas, bumped recklessly over several lines of fire hose, and speeded down the street until his way was blocked by another car, and he was arrested by a motorcycle policeman. At police headquarters, he gave proof that he had a good job as a painter, and that he was a veteran of the World War who had served creditably in France. He had no criminal record. But his manner was so strange that the police continued their questioning and before long he confessed that he had started all that night's fires, in addition to several minor blazes of the recent past. The only explanation that he would give was that he "had to do it". Alienists pronounced him insane and he was committed to St. Elizabeth's, the Federal Government's hospital for the insane near Washington. There he came under the observation and care of Dr. John E. Lind, who for almost twenty years has been senior medical officer in charge of Howard Hall, where are lodged the criminal insane who are in the government's care. Soft-voiced and kindly, and yet obviously no sentimentalist, Dr. Lind won the confidence of the fire-setter - we'll call him "Jones." And having won his confidence, Dr. Lind soon learned why he had started those fires. It all went back to a night of battle in France. Standing in a muddy trench, Private Jones stared over the parapet. A heavy bombardment was shaking the earth, and low-lying clouds sullenly reflected the flash of guns and the glare of bursting shells. Varicolored signal rockets were going up from the German trenches. The merciless white light of star-shells brought out in sharp relief the grim details of No Man's Land. Somewhere behind the enemy lines a burning ammunition dump blazed fiercely. Private Jones' eyes were on this luridly illuminated sector of man-made hell, but his thoughts were far away from it. He was thinking about his sister, who had died since he had landed in France, and of whom he had been very fond. And he was thinking about another girl - a French girl who looked much like his sister, and to whom he had become engaged. A runner who had been back to battalion headquarters handed him a letter. It was from the French girl. As soon as he could, he went into a dugout where there was a candle burning, and read it. The French girl was very sorry - but she had decided to marry another man. Private Jones went back to his trench - back to the night of fire. He went on doing his duty, and he went on thinking about those two girls. At last the war ended, but whenever he thought of the girls he remembered that night of fire when he had received the French girl's letter. That memory did something to his mind. He began to feel that be must see another night like that. The desire became so strong that one night he started a small fire. He was not suspected. Other small fires followed. Then he set fire to an ammunition dump; again he escaped detection. On his return to America be was discharged from the army, and got a job in Washington. But his "compulsion" to start fires persisted, until in the end he set the series of big blazes that was his undoing. At St. Elizabeth's he has been a model patient. He has shown no signs of being mentally abnormal. A psychologist has treated him, and thinks that he has rooted out his compulsion to start fires. The hospital medical officers also think that he has been cured. Before long a court of law will be asked to decide whether or not it is safe to allow him to return to everyday life. The chances seem to be in favor of his being given a chance to make a fresh start. "Cases like that of 'Jones'," says Dr. Lind, "confirm me in my belief that no one sent to prison for committing a crime should be sentenced for a term of definite length. I know a man who served fourteen years for second-degree murder when it would have been perfectly safe to release him within a few months; and I know a man who was sent to prison for a short term for a minor theft, who should have been kept under restraint for the rest of his life for the protection of society. "All criminals are not insane, but many of the people who commit crimes have some sort of mental 'kink' that makes them act criminally. When that kink has been straightened out - and not until it has been straightened out - it is safe to allow them to return to normal life." Although, apparently, "Jones" has had his fire-setting kink straightened out, when he was sent to St. Elizabeth's he was a psychopath - a man with a sick mind. Many others of Dr. Lind's patients are members of the psychopathic personality group to which a large proportion of habitual criminals belong. These unfortunates are sent to St. Elizabeth's after they have shown pronounced symptoms of mental illness while inmates of one of the Federal prisons. Fifty years or so ago, Cesare Lombroso, the Italian who was the first scientific criminologist, shocked conservative thinkers by saying that a great many criminals couldn't be blamed for being criminals, because they had been born that way. The brain of the habitual criminal, he declared, was organically different from the brain of a normal man. Even more astonishingly, he said that many criminals could be transformed into honest men by giving them proper medical treatment, and that many potential criminals could be made into useful members of society by giving them early training in work that would allow their peculiar instincts a lawful outlet. He suggested soldiering or surgery or the butcher's trade for youths with proclivities to murder, and the police force or journalism for those with a propensity to swindle people! Few of Lombroso's beliefs have stood the tests of time and scientific investigation, but one of them has become the keystone of modern scientific criminology - the belief that crime is a disease and the criminal a mentally sick man, and that trying to cure him is much more sensible than punishing him. But criminologists, like everyone else, have to work with the tools they have while they try to evolve better ones. No one has found a method of curing desperadoes of the John Dillinger and "Machine Gun" Kelly type, so for the good of the law-abiding majority they must be killed or sent to some grim and closely guarded prison such as Alcatraz. Nor does the case of the obviously insane person who has been guilty of a crime constitute much of a puzzle. He must be sent to a hospital for the mentally diseased, and treated for his troubles. If he is cured he is released; if the psychiatrist's science fails to cure him, he must be kept under restraint for the protection of others. The scientific criminologist's most puzzling problem is what should be done with and for the psychopath - the border-line criminal who is too sane to be kept in an asylum, but not sane enough to be left at large. In murder and other major-crime trials, insanity is a very common defense. Justice Wilbur, of the Supreme Court of California, has said that most pleas of insanity are made by sane people, who frequently go free, while most insane criminals make no insanity plea, and are duly sent to prison. But in major-crime cases the mental condition of the prisoner is at least examined carefully, while in most courts the mental condition of a man accused of a minor crime seldom is investigated. If convicted, he is sent to prison for a short term, and when he has served it he is released. If he is a psychopath he may commit another similar crime within a short time. Dr. Lind knows one unfortunate man of this type who has spent thirty-one of his forty-five years in serving short terms in various penal institutions! No one knows what makes the psychopath what he is. Some students think that he is a victim of defective metabolism - that there is something wrong with the process by which his body assimilates new materials to repair waste. Others say that he is a sufferer from functional defects of the mind. Dr. Henry Maudsley, a distinguished British alienist, accounts for him by saying that he suffers from a perversion of the mental faculties that usually are called the active and moral powers, and that his incapacity for true moral feeling causes him to yield without a struggle to all his egoistical impulses and desires. Whatever may be the underlying cause of the psychopathic personality, its characteristics are easily recognized. Psychopaths cannot adjust themselves to ordinary life. They are creatures of weak will and without self restraint, who are incapable of following any plan of action to its end. They never plan for the future. With them, the smallest present gain outweighs any future good. The largest of all the groups of psychopaths is composed of nomads, men who always escape any responsibility by "moving on". Some of them run up bills in various cities, and then move away to avoid the consequences of not paying them. Others drift away from their family responsibilities. Many professional tramps and hoboes belong to this group. Nomads often enlist in the army and navy and soon desert. Another large psychopathic group is composed of men who have become addicted to drugs or alcohol. Many psychopaths become habitual swindlers. Relatively few of them drift into a life of violent crime. DR. Lind has studied the life histories of many psychopaths, and has found that they follow pretty much the same pattern. The usual type, when a small boy, is guilty of various not-very-serious juvenile delinquencies. He doesn't do well at school, and either is expelled or quits before he gets through the grammar grades. After that he drifts from job to job, seldom holding one for more than a few months. Then he develops a propensity to some particular form of crime, which he follows with but little variation throughout the rest of his life. He gets put into jail time after time, but always repeats his offense shortly after he is released. Punishment has no effect on him. And neither has kindness. One of the distinguishing marks of the psychopath is that nearly always he is likeable. His most dangerous weapon against society as he goes through life committing crime after crime is his ingratiating personality. Usually he is such a charming fellow that few people are hard-boiled enough to refuse to give him the "just one more chance" for which he pleads. Even physicians who have been dealing with men of this class for many years have to be always on guard to keep from being fooled by them. The likeableness of the average psychopath is so pronounced that the medical officers at St. Elizabeth's take the characteristic into consideration when they make their first rough working diagnosis of the case of a new patient transferred from one of the Federal prisons. If, when they consult about the case, they find that they all liked the man on their first contact with him, they usually agree that he must be a psychopathic personality. But if they find that they all disliked him, they usually agree that he is not a psychopath. 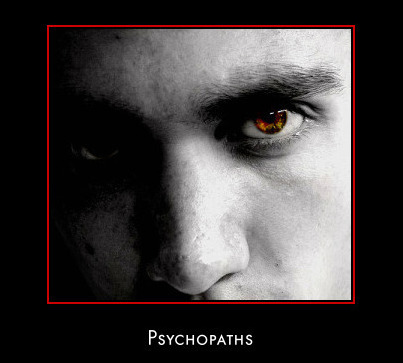 Psychopaths often are shrewed, and some are highly intelligent, but all lack judgment. There is at present at large - and being looked for by agents of the Department of Justice - a swindler who combines the qualities of shrewdness and lack of judgment to an unusual degree. This fellow wanders about the country working a check racket that usually is successful, but that never brings him any substantial gain. Going into a new town, the first thing he does is to engage a room at a hotel, and then write out, in his own favor, several checks for large amounts, signing them with names such as "John D. Rockefeller, "J. P. Morgan, "Henry Ford, ' and even ' George Washington." These checks he conceals in his suit case. Then, using a check of a bank in some far-distant part of the country, he writes another check for a thousand dollars or so, also in his own favor. This check he deposits in the local bank, for the purpose of opening an account. For several days he makes no effort to draw against this deposit. Then he drops into the bank to cash a check. The teller is sorry but the check on the out-of-town bank hasn't been paid as yet. The swindler asks to see the president or cashier, and explains that he is short of ready cash for living expenses. Here the psychopath's characteristic likeableness and plausibility gets in its work, and enables him to induce the banker to allow him to draw $50 or even $100. He makes no attempt to get out of town with his loot. Instead, he spends it on good living until the check that he has deposited comes back marked "no account". Naturally, the local banker has him arrested. Police officers search his suit case, and find the Rockefeller, Morgan, Ford, and George Washington checks. Under questioning the swindler breaks down and confessed that in the past he has been under observation in St. Elizabeth's and other institutions for the insane. The bank s money is gone beyond recall. The banker shrugs his shoulders and suggests to the police that they let the poor fellow go. The police give him a good talking to, and he leaves the town as penniless as he was when he entered it. This particular swindler shows a good deal of shrewdness in planting the "cuckoo" checks in his suit case, and, when he is arrested, in playing up the fact that he has been confined in hospitals for the insane. But he shows the psychopath's characteristic lack of judgment in devoting his considerable talents to a racket that never gets him more than a few days of good living. Science is being brought into play to solve the problem of the psychopathic criminal - to decide what should be done with him for the protection of society and for his own good. As Dr. William Healy, a leading criminologist, points out, the first need of courts that deal with human problems is scientific knowledge of the qualities of the human beings whose fates they must decide. New York, Los Angeles and some other large cities now are supplying their courts with this vitally essential knowledge through the employment of highly trained court psychiatrists. All criminals, of course, are not psychopaths. Bad environment may turn a boy of normal mentality into a criminal. Early in his apprenticeship he is likely to run afoul of the law, and to be sent to a reform school. If it happens to be a reform school of the old type, he will come out much more a criminal than he was when he went in. Reforming reform schools is one of the methods that Dr Lind suggests for reducing crime. "In criminals of normal mentality," Dr Lind says, "there often is much good qualities of loyalty and courage and generosity that make them worth working long and hard to save. The penal farm, and properly conducted parole and probation systems, help greatly. Even psychopaths often can be greatly helped by understanding supervision and advice during the earlier years of their lives But if they have not been cured before they become adults, most of them are - in our present state of knowledge of their disease - hopeless. I am not at all sure that they should be punished, but I am sure that they should be isolated for the protection of other people. Some day science may find a way to cure them. Until then, arrangements should be made for them to lead lives of their own, in communities of their own." Many other leading criminologists and psychiatrists agree with Dr. Lind. They are convinced that instead of being sent to prisons or asylums for a few months or years, and then thrown back into a world for which they are not fitted, these unfortunates should become self-supporting citizens of special communities designed to meet their needs. Under scientific supervision, and with certain restrictions made advisable by the peculiarities of their inhabitants, these communities could be self-governing. The people who lived in then could have their own industries, their own recreations, their own lives - much happier and less harried lives than are possible for them under present conditions.